Only 9 per cent of DCU’s student population voted in last weeks referendum regarding DCU Students’ Union stance on the construction of a labyrinth on campus. The result has been deemed invalid by DCU SU’ Returning Officer, Steve Conlon, as the quorum of 1,231 was not reached. 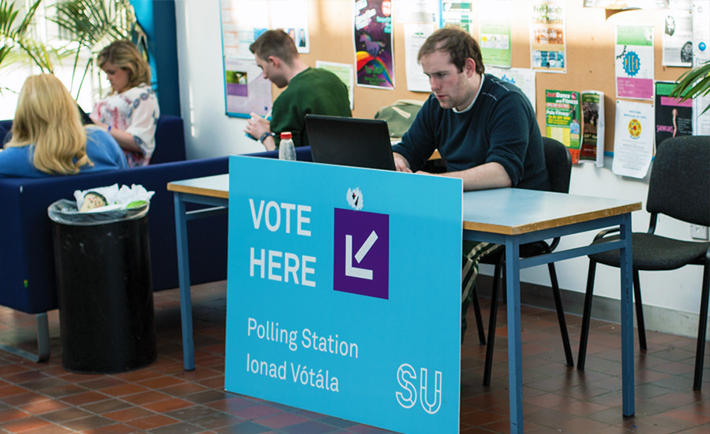 According to DCU SU’s constitution, 10 per cent of the student body must vote for a referendum to be declared valid. Polls were originally set to close on Thursday at 5pm but the deadline was extended by 24 hours as the quorum had not been reached. There had been some confusion regarding the online voting system as the polls opened with regard to the title of the referendum. “I was confused with the title of the referendum. It says on Moodle that the vote was on whether to re-affiliate with the USI or not,” said second year student, Claire Whyte. The referendum is a result of a petition started by student activist, Sean Cassidy, and signed by over 200 students and was presented to the SU on March 18th. Cassidy has argued the Labyrinth has perceived religious connotations. Speaking to The College View, Cassidy expressed his disappointment at the low turnout. “It’s so late in the year. The SU have had plenty of time to hold this referendum earlier,” he said. “There was 1,000 students queuing for Summer Ball tickets and they weren’t being encouraged to vote,” he continued. The labyrinth referendum is the second referendum this year with a low student turnout. Just 12 per cent of students exercised their vote in last month’s referendum. The motion for DCU to rejoin the national student representative body was passed by the narrowest of margins, with 726 ‘Yes’ votes and 725 ‘No’ votes cast.